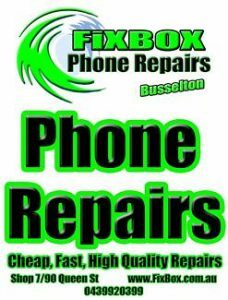 FixBox Phone Repairs Busselton, Margaret River and Dunsborough provide the absolute best iPhone Repairs in the southwest. With over thirty combined years of experience among our highly skilled technicians, we know how to complete the job with quality, speed and reliability. FixBox Phone Repairs iPhone Repair service can replace cracked front screens, back glass, broken cameras, dead speakers, faulty switches, home buttons, bent frames and many more iPhone Repair tasks. We are always happy to assess and repair any brand, make or model. This includes but is not limited to Apple, HTC, Huawei, Oppo, Google, OnePlus, Sony, Samsung and Motorola. We also fix more than just mobile phones at FixBox Phone Repairs. We can repair your tablet, drone or other mobile device technology. With access to our own in house soldering expert, FixBox Phone Repairs iPhone Repairs service has no limits. If you have been told by another iPhone Repair person that your phone is not fixable then we highly recommend you bring it in for us to look at. We don’t charge to look at a phone and we provide an obligation free quote with no pressure to repair. This includes our water damage assessment service. With three locations, FixBox Phone Repairs iPhone Repair service is able to utilise our buying power and buy in bulk. This allows us to pass the savings on to our customers and provide the most cost effective iPhone Repair service around. We never compromise on quality and with so much exeperience we know how to deliver the most reliable phone repair. Check out all of our great reviews on our FixBox Phone Repairs Facebook page. You can also find reviews of us on Google and when in Busselton you can also find more of our reviews at the Busselton Visitor Centre.